Speculation that Madonna was set to adopt two more children has proven to be correct, with a Malawi judiciary spokesman confirming the star has adopted twins. The 58-year-old singer was already mum to 20-year-old Lourdes, 16-year old Rocco, 11-year-old David and 11-year-old Mercy. She’s welcomed the two little girls into the family after a Malawi High Court procedure, where the twins’ father and grandfather witnessed and approved the adoption. People Magazine reports that the girls’ mother died a week after their birth and that they were then cared for by their grandmother. This proved difficult and the children were subsequently placed in an orphanage, People reports. A spokesperson for Malawi’s judiciary, Mlenga Mvula, said Madonna was very happy following the adoption court appearance. “She smiled while she was making her way out of the courtroom, and then she drove away,” Mvula said. 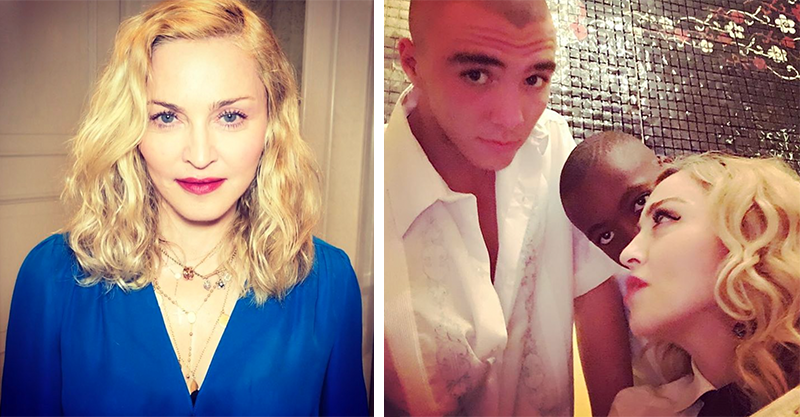 Son David’s 2006 adoption prompted Madonna to launch the charity Raising Malawi, to help fight child poverty in Malawi and advocate for orphaned children. “I feel a deep commitment and love for the children of Malawi and am grateful for the support of the Government. I look forward to my new role as Goodwill Ambassador for Child Welfare,” Madonna has said. The singer adopted Mercy a year after, in 2007. Madonna has said that there are many, many African children in difficulty and in need of being rescued, and that adoption laws provide unnecessary hurdles for well-meaning folk. She also notes that she “did everything by the book” when it came to adopting and in fact has saved lives by taking these kids into her family. Madonna had very recently denied that she had travelled to Malawi seeking to adopt, but it seems that she was just throwing media off the scent. “I am in Malawi to check on the children’s hospital in Blantyre and my other work with Raising Malawi and then heading home. The rumours of an adoption process are untrue,” she told People on January 25. These high profile celebrity adoptions have inspired childless couples and families seeking to grow their brood to look to Africa to fulfil their dreams. Angelina Jolie’s adoption of Zahara alone doubled the amount of enquiries to adopt Ethiopian children, ABC News reports. Despite the ease that celebrities appear to adopt children with, these arrangements are complex, experts say. Legalities are often challenging and the ethics can be questionable too. The puzzle of how to best support children and families in need is a complex one. Child advocates warn that the adoption of African children, and their removal from their homeland should be an absolute last resort. “It must at all costs be discouraged. It should be a last resort and an exception rather than the normal recourse to solving the situation of children in difficult circumstances, as it seems to have now become,” executive director of The African Child Policy Forum (ACPF), David Mugawe told CNN. “Every child should have an inalienable right to be nurtured and reared in the country and culture in which they are born,” Mr Mugawe urged.